Our ‘Pilates for Fitness’ programme is a vital tool for those who are keen to maximise their fitness and personal performance, whether you love sports or simply enjoy keeping fit and trim. All the exercises included in the Pilates for Fitness programme are easily applied to specific sports and as part of the sessions, participants are shown how to integrate Pilates into their own chosen sport. Pilates is great for Golf and can improve the golfer's game, developing flexibility and strength, and increasing the range of motion through the hips and shoulders. Results can be a better swing, increased club head speed, longer drives and even a lower handicap. Successful runners have good posture. Pilates helps runners to develop a strong core by teaching them how to support and strengthen the muscles of the torso, hip, shoulders and pelvis. This in turn improves posture and will make you a better runner. Pilates helps swimmers to improve their swimming technique and times without straining their bodies. 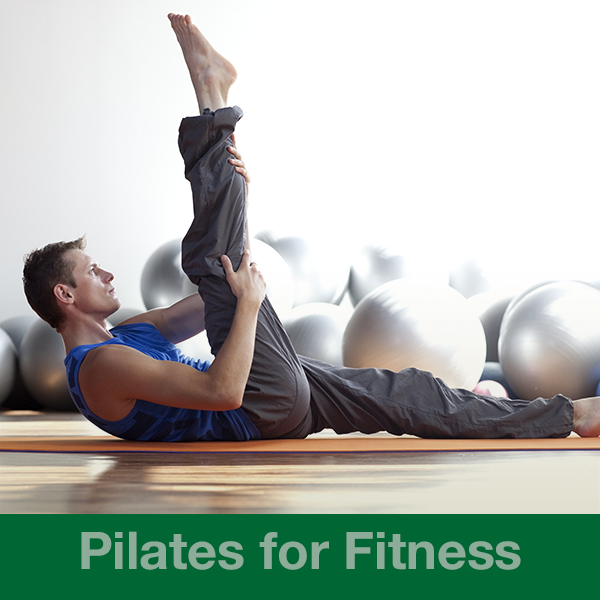 Pilates can teach swimmers how to engage their abdominal muscles and improve both balance and alignment of body. Pilates helps to improve a horse rider’s body awareness, building flexibility, balance and strength and in turn, a deeper seat. This combination can really enhance your riding experience and help you to build a closer partnership with your horse. For those who love sports and for those who enjoy keeping fit, give your performance a boost by adding our Pilates for Fitness programme to your regular fitness regime.